Top 10 Best Baby Walkers of 2018 Buying Guide | Full Reviews & Current Sales! 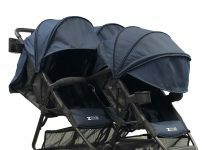 Home Baby Walkers Top 10 Best Baby Walkers of 2019: The Definitive Buying Guide! Baby walkers are such a fun and exciting way to keep your baby entertained! Yes, there are mixed opinions on whether they are safe and good for development, mostly based on how often and how long in terms of duration you use the walker. In this article we’re going to assume that you are pro-baby walker. The purpose of this list is to review and help you understand the different specs and features you should look for when buying a baby walker and then we’ll show you the options we deem as the Top 10 according to this buying guide and criteria! up as high as $130. This quite a wide range! walkers under $50, you get what you pay for. These walkers are typically more of a toy than a true baby walker. They’re usually made out of cheap plastic and are more of a walk-behind toy walker rather than a sit-inside walker. In this buying guide we’ve completely excluded this type of walker to focus on sit-inside walkers for the most part. There are a ton of options when you get to the $50-100 price range. This is kind of the sweet spot in terms of price points when it comes to baby walkers. For the most part, you’ll see the same functionality on almost all of the walkers in this price point which we’ll discuss in more detail later in the list. The most expensive, premium walkers are priced above $100 and stretch as high as $130. With these walkers, you pick up a little bit of quality in certain cases and maybe a cool brand like Ferrari. For the most part this price range is meant for people who understand they aren’t picking up any new features by spending more, but they are looking for a cool baby walker that will set itself apart from the crowd in regards to the design and brand. Our favorite price range is $70-100. This is where you’ll get a very high quality baby walker with most, if not all of the most important features we’ll discuss below! The entertainment console on a baby walker is the typically the small electronics unit in the front of the walker with which your child will interact. In general, you should have a mental checkbox: Does the baby walker have an entertainment console or not? Most baby walkers nowadays do have some sort entertainment console and most are electronic. Next you would want to see if the entertainment console has lights, sounds, non-electronic clicks/noises, and/or vibration. You’ll also want to know if the entertainment console is removable. If so, it can travel with your child in the stroller, car seat, or can be played with on the floor as a stand-alone toy. This also means in most cases that a snack tray is revealed on the walker once the entertainment console is removed! The seat fabric of a baby walker is often the most important feature that may be overlooked! It is the top feature that correlates to your babies comfort! When researching the walker seat, you first want to see how soft or rigid the actual fabric material is and how your child’s skin will react. Some walkers have very plush, soft seat fabric whereas others are more rigid. There’s pros and cons to both, but most importantly you need to think about how a child with sensitive skin would react to a rigid seat. A plush, soft seat would definitely be better suited! You also want to check to see how much padding is in the backrest of the seat. Most walkers have very little to no padding, but there are a few that have a bunch of padding which we definitely prefer! Lastly, you’ll want to make sure you know if the seat is removable and washable. Most walker seats are removable and even washable, but not all are machine washable. This is an important details that you’ll want to know! Most baby walkers come standard with 3 height adjustable positions. The height adjustments allow you to lower the baby walker closer to the ground when your child is younger and shorter. Then, as your child grows you can adjust the walker to the higher settings so the walker still fits them correctly as they get taller. This feature will extend the usage life of your walker and increase the chance of a proper fit for your child within the height and age range recommendations of the walker. Most walkers have 3 adjustable positions, but some have none which really limits the use of the product. It’s definitely a feature you want to check out! Baby walkers are big and bulky. We would put them in the same class as exersaucers in regards to how much room they take up. The good news is the most baby walkers are foldable! If the walker is foldable, it will likely fold flat. Almost all walkers that fold have the same type of fold. But, some walker do not fold and this is a major thing you’ll want to know. If the walker doesn’t fold it means you’ll always have to find a significant amount of space to place or store the walker when not in use. It also means it’s almost impossible to travel with walker as it would just take up too much room in your car. If the walker does fold, which most do, you’ll likely be able to stow it away when not in use and travel very easily with it. This should definitely be on your checklist of features! Wheels are very important when it comes to baby walkers. They are the entire basis of the core functionality of your walker. Most walkers have standard size wheels. Very few have larger or smaller ones. Size is something you’ll want to compare though just to be sure. The one feature you definitely want to check out when it comes to the wheels is how many of the wheels are fixed or locked versus rotatable. Some walkers have four rotating wheels whereas others have fixed back wheels. The difference in these two types of wheel setups is that the one with four rotating wheels can go in any direction (thing shopping carts at ikea) whereas the walkers with fixed back wheels can only go front or back at turning angles or straight, not completely sideways. There are pros and cons to each! These come standard on most if not all baby walkers sold in America. They are the rubber pads on the bottom of the walker. Some walkers have more or less of them and they can be bigger or smaller on certain walkers, but just make sure that the walker you’re looking to buy has them! They have a number of safety benefits such as helping to keep your baby walker from going over the edge of the top star or over other ledges. They are a must! Not All baby walkers are created equal in regards to size and weight. You’ll want to take this into account when choosing a walker. It can give you great perspective deciding factors like which walker has a bigger snack tray, more room in the seat, and other things that you may not have exact measurements to compare, but can use the overall size of each walker to compare these other smaller features to scale. If you are looking for a baby walker that looks like it is out of this world then you have got to check out the Joovy Spoon Baby Walker. This baby walker offers you a look that feels as though it is from the future. It is fun and funky enough to look modern and is from the popular Joovy brand. Parents who like to have the trendiest baby gear are going to go wild for this surprisingly affordable option. This walker comes in a number of fun colors as well which is great for you if you are looking for something different. The wide base also helps prevent little ones from having their fingers pinched. The Joovy Spoon Baby Walker is priced at $84.99. This is a moderately priced walker that is going to give modern parents everything that they have been looking for. This is really one of the nicest walkers that you can find for the modern parents. The Joovy Spoon Baby Walker does not have an entertainment console. It does have a removable tray that you can easily pop out to clean though. This makes the Spoon great for offering your little one snacks or treats. One thing that you will instantly notice when you see this walker is its sleek all white design with a splash of color at the seat. The seat is easy to remove and completely machine washable. It is also well padded and made to offer your baby ergonomic comfort. There are three height adjustable positions offered with this walker. This allows the walker to grow with your baby. It also features a unique design that will make it last longer than some other walkers that are available on the market. The Spoon has one of the most compact designs and folds nearly completely flat. This makes it very easy to store. It also does not have a full base but rather an open back base design that allows it to fold flatter than some others. I really appreciate this design for those who are living in a small space like an apartment. The wheels on this walker are oversized which makes it easily maneuverable and something that baby can easily wheel around in. One thing is for sure, when your baby is cruising around in the Joovy Spoon they are going to have a great time. You will be able to tell because they are really going to be able to maneuver in ways that are not possible with many other walkers. In addition to featuring oversized wheels the walker has no slip stair pads that add safety elements that will make you feel comfortable when your little one is playing in it. I love the special features that make it easier for your little one to walk but also make it safer for them. The Joovy Spoon is 27.7” x 25.5” x 18” when unfolded. If you fold the unit it becomes small enough to easily store. It weighs 12.3 lbs which makes storage a breeze. This is one of the lighter walkers so it is not hard to carry this one around.